Two religious objects, including a reliquary holding relics of the Fourteen Holy Helpers, have been reported stolen from a Catholic parish in West Seneca. The reliquary, in the shape of a cross, contains bone chips from the group of saints after which the Indian Church Road parish was named. According to the parish website, it’s the second time the reliquary was stolen. The first time, it was recovered from a creek. Also stolen was chrism, olive oil that was specially blessed and consecrated, during the Chrism Mass during Holy Week, by Bishop Richard J. Malone and priests of the Catholic Diocese of Buffalo. The sacred oil is used at all baptisms, confirmations and holy orders. 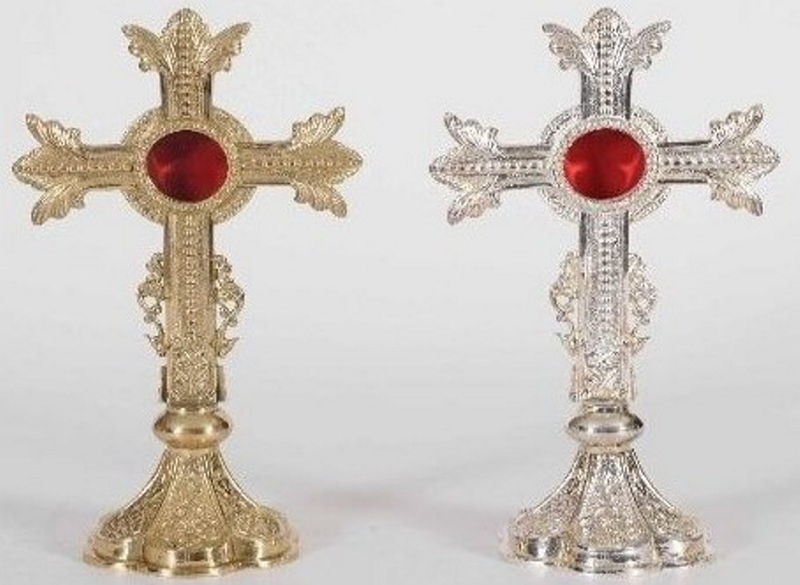 Anyone with information about the theft, or the location of the reliquary or chrism, is asked to call West Seneca police at 674-2280 or contact their anonymous tip line at 675-8423.